First, let's define what each of these types of writing actually are. Calligraphy/hand-lettering is a hybrid of art and letterforms, where the writing is decorated, embellished, or just overall artistic. Calligraphy is generally only used for things like headings or on illustrations - i.e., special occasions. 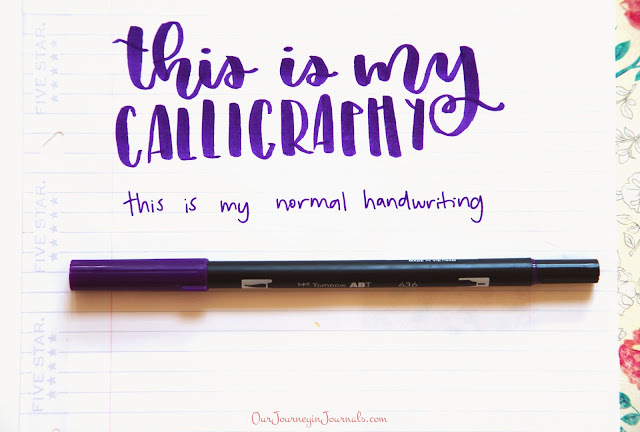 It's that type of writing that looks like it took a considerable amount of time to do, and you usually don't use calligraphic writing for large blocks of text because it can be hard to read (plus, if you're doing it by hand, it'll take a long time to do). Handwriting, on the other hand, is the type of writing that you use on a day to day basis. It's the type of writing that you use to take notes with, to make grocery lists, write memos to yourself, etc. 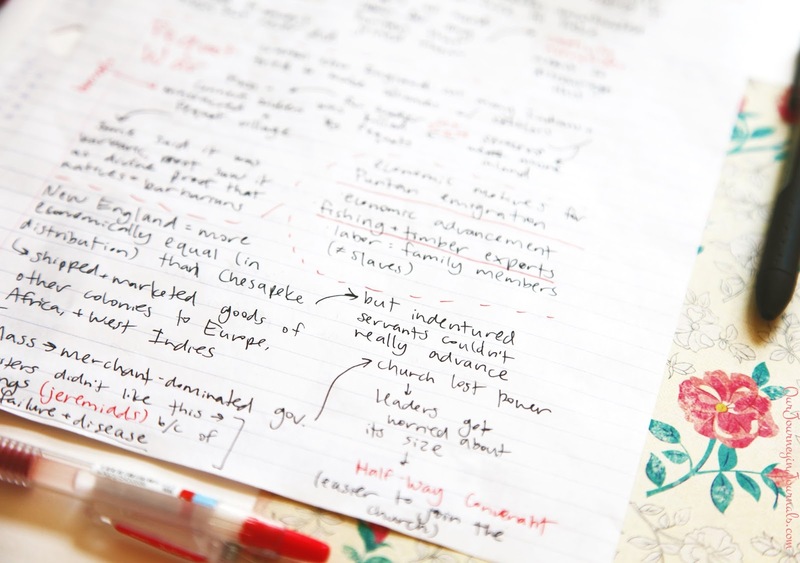 For the vast majority of the population, everyday handwriting is the type of writing that you use for everything. Essentially, calligraphy is an art and a skill that has to be practiced (absolutely nobody naturally has pretty calligraphy), while there are some people that do have an affinity for good handwriting without any conscious effort on their part to improve. In addition, a letterer's handwriting is very different from their calligraphy; though some calligraphers do actually have good handwriting, a lot of them usually write in chicken scratch just like the rest of us. 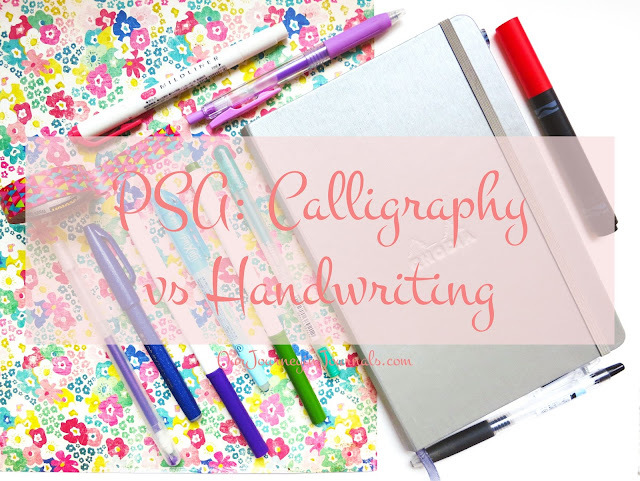 In order to learn calligraphy, you don't need to have good handwriting, as they are two separate, distinct forms of writing that are not completely related. However, though for the most part handwriting isn't a thing that is generally practiced, that isn't to say that it's impossible to improve it. 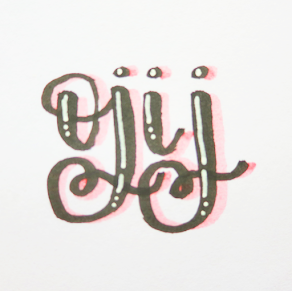 It's just that to have good calligraphy, you have to practice (since the craft is an art and a skill like any other), while most people just accept their natural handwriting if its bad (since it doesn't really matter all too much anyway). TL;DR - calligraphy = artistic & fancy writing, handwriting = everyday writing, and they are two different things and two distinct set of skills. I hope that cleared some stuff up. What other things do you want to clarify in the bullet journal, calligraphy, or stationery worlds? love spells to attract love The information which you people are given are really good, These look really great.